An impressive list of styles of modern music, the most controversial we have considered Russian chanson. In the opinion of connoisseurs and diehard fans of the genre, Russian chanson - a noble vocal style that emerged in the early 20th century of the songs of urban folklore and everyday songs, comic and intimate songs, sung on the stage, the restaurant "shansonetki". Not less numerous army of the most ardent opponents of this controversial genre considers chanson nothing more - as a product of the songs of criminals, primitive melodies and vulgar content. As the reasons and arguments they give examples of songs typical representatives of Russian chanson 90 years, celebrating the adventures of the bandits and the antics of bullies. But let's turn to the basics! No doubt that the word "Sapop" borrowed from the French. Translated into Russian Sapop song, literally and unambiguously tell us any dictionary. However, let's not jump to conclusions, after all, the French music critics highlighted the vocal style of "chanson" in a genre still in the middle of the 19th century. Songs-sansonetti, light as wine and dressed in unobtrusive melody, was loved by the French, having the habit to spend the evening in a noisy cabaret. The singer, who live music on the restoran stage was characterized by bright expression, and the themes of the songs ranged from political satire to intimate ballads. At the dawn of the appearance of recording, records with songs by the French singer flew around the world, and brought the artists fame. Before the Revolution, on the shelves of phonograph records Russia with the French chanson were sold in large editions, and soon the French singers were the local rivals. Paying tribute to fashion, they called themselves shansonetki, the basis of their repertoire was comic household songs in Russian. Incidentally, in the same gramophone shops you could easily find the Russian recordings of the choirs of convicts and street songs, are sung by both professional artists and vagrants-nuggets. Chanson these songs then, of course, no one called because they had deeply national basis. Small Russian cabaret singer after the revolution were forced to retrain or leave Russia. In a cruel twist of fate, the most popular of them went to the Home of his genre, with varying degrees of success acted on scenes of humble immigrant eateries of Paris. The term chanson sunk in the Soviet Union into oblivion, but in the 1950s it refreshed who returned from exile poet and singer Alexander Vertinsky, who called himself a Russian singer. On the wave of popularity of outdoor and camp songs in the USSR, Leningrad singer was recorded in 1972. on tape a few screenwriting gigs, which, according to its producer, outlined the framework of Russian chanson. This tape recording is, oddly enough, influenced the formation of the genre in the 90-ies. With the abolition of restrictions on the execution of thieves and uncensored songs, producers rushed to seek names for the now legal genres, and of course, stick to the term "chanson" sung by A. North. Along with bawdy songs, newly minted singer of the ' 90s had the repertoire and the lyrics, and bard songs, which were also successfully renamed to "chanson". Due to the continuous 20-year activity of the whole network of chanson radio stations, as well as large copies of the albums of the artists chanson, the term popularized - and modern Russian chanson is a confusion of musical genres and styles, having little in common with the noble style of singing French cabaret, the best representatives of which have won worldwide popularity. Soloists cover groups often have to perform the lyrics of chanson, and even bawdy songs, at the request of listeners who are older. 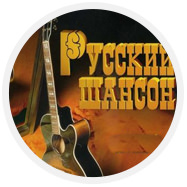 In Russia there are several professional musical groups, performing bawdy songs of the Soviet years and modern chanson. These musicians perform at concerts for fans of the genre, as well as in casinos and Nightclubs. The most famous chanson cover ensemble - "La-minor", recorded half a dozen albums and has been touring successfully around the world. Orange VINIL is also ready to sing you a favorite song on your holiday!